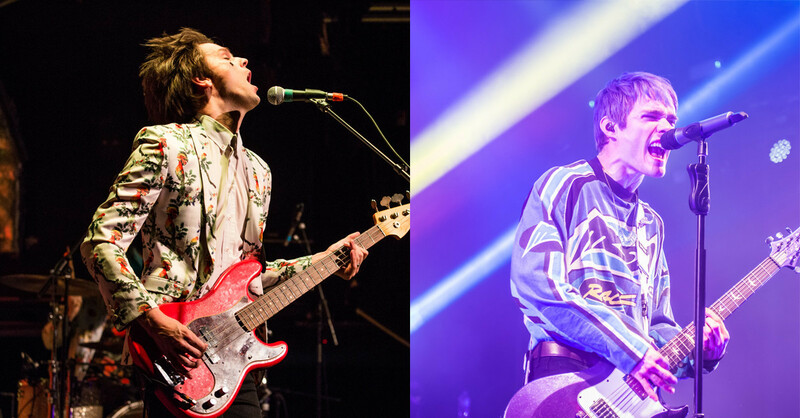 In case you've missed it, Waterparks and iDKHOW are currently on a huge North American tour together. It looks like it's been all together quite a lovely time so far, aside from their merch guy attempting to steal $18,000 from them and Dallon Weekes losing his voice. However, despite sharing a tour bus- the lads in iDKHOW and Waterparks are yet to meet. Wild. Sharing a tour, and sharing a mode of transport but yet to meet. So we've collated a list of all of the times on social media during the tour that Waterparks and iDKHOW have lamented over not meeting each other yet. iDKHOW kicked off the action, with a simple tweet after the first show, mentioning how they'd love to meet Waterparks one day. First night on the @waterparks Entertainment tour was fantastic! Really hope we get to meet them one day! They seem nice. Awsten is lonely on tour- if only there was another band out on the road he could take selfies with? At this point we were all pretty invested in getting them to meet- which is looking positive. *Sigh* when will Waterparks and iDKHOW finally meet? RICHMOND SHOW TONIGHT IS SOLD OUT. THANK YOU. So nice of them to spend Thanksgiving together- but as Dallon points out, he never got the chance to meet them. Sad. Tour Thanksgiving w @waterparks . Very nice of them to come. Didn’t get a chance to meet them, though. Maybe next time. & hats off to the one and only @breezyweekes for feeding all these dudes! Happy Thanksgiving y’all! And Dallon has now resorted to posing as a Lyft driver in order to finally meet Awsten. Someone, please, think of the children. Make this meet up happen.